Insects, spiders and other tiny monsters that scurry across floors or fly through the air are frightening enough. 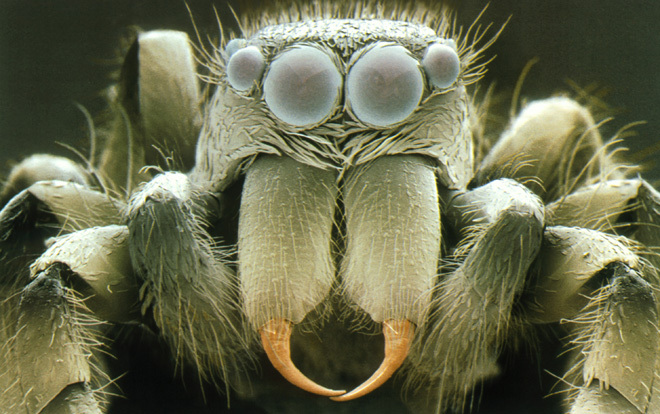 Under an electron microscope, however, they balloon into terrifying yet beautiful spectacles. 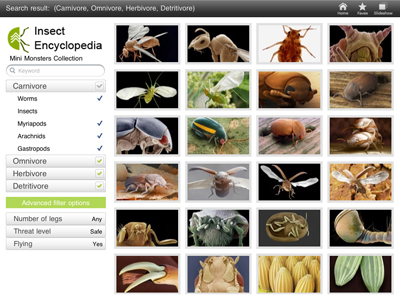 Each of the app’s 567 images of more than 200 unique species is zoomable and comes equipped with a caption. The detailed information covers everything from the monsters’ eating habits to favorite hiding spots. Science Photo Library, a science-centric stock imagery company that hosts some 300,000 images and 20,000 videos, says Mini Monsters will cost $2.99 in the U.S., £1.99 in the UK and €1.99 elsewhere in Europe. Three sets of contributors (Steve Gschmeissner, Cheryl Power and Andrew Syred, and Oliver Meckes and Nicole Ottawa) created images for the app using their own scanning electron microscopes, which are hundreds of times more powerful than optical microscopes. We preview some of the best mini monsters in this gallery.